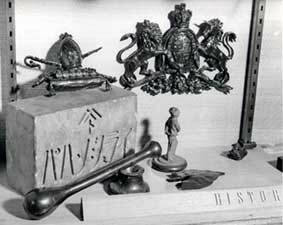 Introduction: In 1950 the Telegraph Construction and Maintenance Company (Telcon) created an exhibition of items made from gutta percha, the material which helped make the company's fortune. Thanks to George Oliver and Jim Jones for supplying these photographs from the 1950 exhibition. 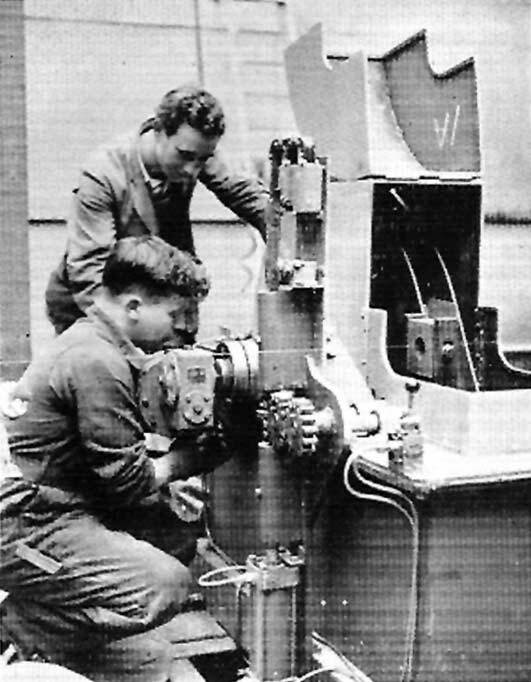 Jim Jones also sends this photograph from the Telcon house magazine's Roving Camera feature, showing George Oliver (standing) and E. Stockley installing a new cable armouring machine at the Greenwich works in the 1950s. 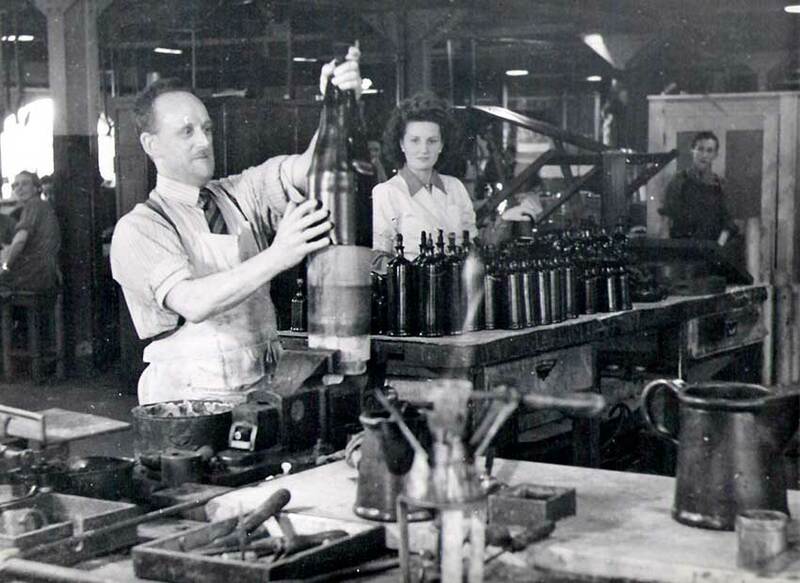 George fought for the Telcon in boxing tournaments with other local firms such as Johnson & Phillips and Siemens. Introduced to Britain in 1843, gutta percha is the gum of a tree native to the Malay Peninsula and Malaysia. At that time there was no application for the material as cable insulation; this would come later. 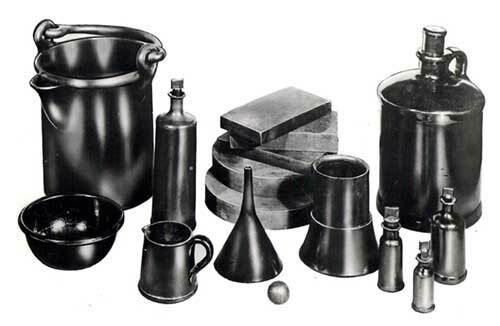 Unlike india rubber, which must be vulcanised to be useful as an insulator, gutta percha is thermoplastic, softening at elevated temperatures and returning to its solid form as it cools. This made it easy to mould gutta percha into many decorative and functional objects, either by pressing the heated material into cold moulds, or by extrusion. 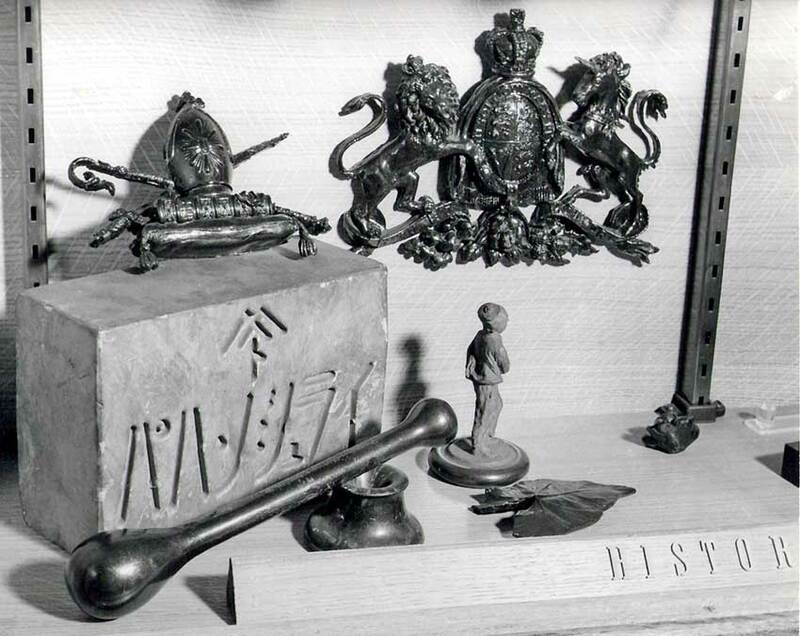 The Gutta Percha Company was established in 1845, and made chessmen, mirror surrounds, tea trays, commemorative plaques, animal figures, inkstands, and even a full-size sideboard, among many other decorative items. 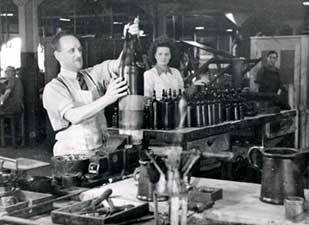 Industrial products included machinery belts, acid-tank linings, and tubes. The extrusion machinery used to make the tubes, modelled it is said on Italian pasta machines, was soon adapted for use in wire covering. This technique was used first to insulate landline cables, and later for submarine cables. After the failure of their first cable in 1850, the brothers John and Jacob Brett laid a successful submarine cable from Dover to Calais in 1851. This used two layers of gutta percha insulation and an armoured outer layer. Gutta percha proved to be an ideal insulator for submarine cables, and as a further benefit for cable use it was found that gutta percha's insulating properties improved under the pressure and temperature conditions of the ocean bed. Gutta percha remained the prime material for submarine cable insulation for over 80 years. Previous attempts to use gutta percha as cable insulation involved compressing two sheets of gutta percha around the wire, but this left two seams in the insulation. The Gutta Percha Company's tubes were seamless, and proved their value in insulating the 1850 and 1851 cross-channel cables, although the covering process had not yet been perfected. The conductors of the 1851 cable had an irregular coating of gutta percha, which had to be shaved away in places, and suffered from air holes and voids. Nonetheless, the cable was a success, and much additional business followed. Producing cable core became the company's main operation, consuming a significant proportion of the output of gutta percha, imports of which exceeded a thousand tons a year by 1861. The Gutta Percha Company had few competitors during the 1850s, and supplied the bulk of the cable core in the early years of the industry, including that for the 1857 and 1858 Atlantic cables. By the time of the 1865 Atlantic cable, the company had supplied over 14,000 miles of core for 64 cables, and production of reliable and consistent cable core was routine. One of their major customers was cable manufacturer Glass, Elliot & Company, formed in 1854, which had made many cables, including the 1857 and 1858 Atlantic cables. To meet the financial and engineering demands of the 1865 cable, the Gutta Percha Company amalgamated with Glass, Elliot to form the Telegraph Construction and Maintenance Company. 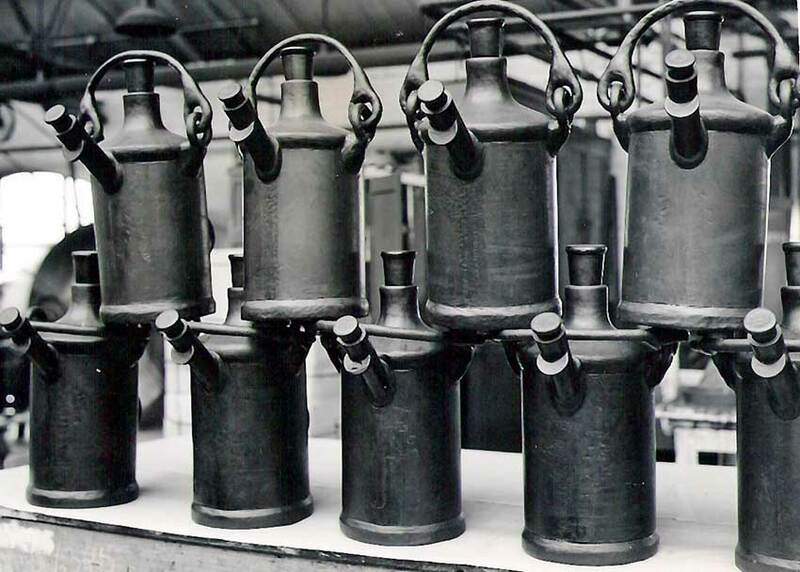 Known as Telcon, this was the first company to be involved in every phase of cable making, from insulating the core to laying the completed cable. 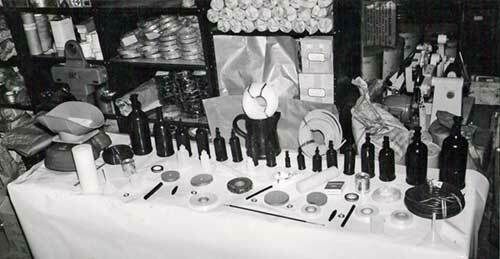 Gutta percha proved to be such a well-suited material for insulating submarine cables that it was used almost exclusively until finally superseded by polythene in the early 1930s. Production of industrial and decorative gutta percha items also continued for many years. This extract from the book “London by day and night: or, Men and things in the great metropolis” by David W. Bartlett, describes a visit to the Gutta Percha Company’s factory on Wharf Road, London, in 1850, right at the beginning of the undersea cable era. It is customary, we believe, to write a preface, if one ventures to do that somewhat dangerous, though not uncommon thing — make a book. Taking advantage of this custom, we will not let our firstling go forth without a single explanation to live or die, according to its intrinsic merits. Our words shall be few, however — simply in explanation of the circumstances under which we saw the emporium of England. In the autumn of 1847, at the age of nineteen, we sailed from Boston for Liverpool, and resided in the English capital for a year : again in the July of 1850 we set sail from New York for Liverpool, and spent another twelvemonth in London. This volume is the result of our observations during that time. We simply write of what we saw, and therefore the work is not a hand-book to London; we have described some things at length, others with brevity, but make no pretensions of de- scribing all even of the prominent men and things in the English metropolis. But as a faithful description of such men and things as came under our observation — as a true account of our own impressions of London, its places, people, their manners and customs, we hope for it the good opinion of those who may honor it with attention. During our first year in London we were so busily occupied as scarcely to be able to have a fair view of its renowned places and men, but during our last year there, seeing and describing was our principal employment. Our companion during that year was our cousin and friend, Rufus C. Reynolds, Esq., and we cannot refrain from mentioning here the enthusiasm with which we together threaded the myriad avenues of the great town, seeking out not only the abodes of wealth and splendor, but the haunts of the poor and down-trodden. There are probably inaccuracies in the style of our pages, and possibly in statement, though, we trust, to a very limited extent. Our object has been to give a vivid picture of the English Metropolis, shifting quickly and easily from one subject to another, and treating no single subject at any great length. We have, in carrying out our plan, made use of matter which has, in a more condensed and inaccurate form, been furnished by us while abroad, to several American journals;but it has been revised and rewritten, and much new matter added thereto. If the reader is amused and instructed, our purpose will be accomplished. The Pines, Avon, Conn., February, 1852. We made a visit one day to the “Gutta Percha Company’s Works,” and as they are the only company in the United Kingdom holding the original patent, and first imported gutta percha from “over the seas,” and as a necessary consequence are at the head of the world in their manufactures, we will give a hasty sketch of what we saw on our visit. The manufactory is situated in the northern part of London, near a canal which runs into the interior of the country, and is large and commodious. We were introduced to the manager, who is a man of politeness and urbanity (qualities not too common in the business life of London), and sat down in his office for a few moments while he gave out orders for various and distant departments of the large manufactory without leaving his desk, by simply applying his lips to different mouth-pieces close at hand, the sound being carried through gutta percha tubes to the farthest corner of the vast building. In a few minutes, we repaired to the cutting department. Here the lumps of gutta percha are sliced into thin pieces by revolving knives, which cut six hundred slices per minute, propelled by steam. The gutta percha as it is imported from India is not fit for use — the collectors being careless — and it must undergo a process of purification here. The slices, when they drop from the revolving knives, are thin, and have the appearance of old leather. The manager next took us to the boiling and kneading-room. The slices are first put into enormous iron boilers, and boiled till of the consistency of tough dough, when they are thrown into a machine with rows of teeth, revolving eight hundred times per minute, and which tear the masses of gutta percha into infinitesimal shreds. The shreds are put into cold water, the gutta percha pure and unalloyed rising to the surface, while the dirt and refuse matter sinks to the bottom. It is then skimmed off, and put into lumps, to which a heat of 200 degrees is applied, and in this state the lumps, while plastic, are put into steam kneading-machines, to work out all the air and water that may exist in the pores of the substance. This process is a very curious and interesting one. After the gutta percha comes from the kneading-machine, it is by machinery moulded into the thickness of common leather, and is ready for use, or perhaps it is left in lumps, as occasion may require. We next went into the department where soles are made for boots and shoes. The gutta percha was in a plastic state, and while thus the soles are cut and shaped. The shoemaker, or mender, by applying enough heat, can shape the sole of the shoe, or any one can mend his own boots with slight trouble, by merely applying one side of the sole to a hot fire, and at once placing it to the bottom of the boot — when cold, it adheres better than if it had been pegged on, and will not only outwear leather, but will entirely keep out the wet. There were many boys in this department, and we ascertained that their wages were about one dollar and a quarter, or a half, per week — they, of course, boarding and lodging themselves. We visited the tubing department, and saw the process of manufacturing gutta percha tubes. A very long one was being tried; it was for a mine, down in the country; the mouth-piece was to be above ground, from which orders could be given to workmen in the vaults below. It was more than four hundred feet in length, and was well constructed. Here, too, pumps were made, pipes for fire-engines, and all manner of tubes. Here we saw the identical electrical wire, covered with gutta percha, which first connected England with France — the true chain of brotherhood. The manager gave us a piece, as a memento of the great feat of connecting the English and French shores, though twenty miles of sea intervenes between them. Next we visited the most interesting department of all - that where the nicer and more delicate articles are constructed. Here we first saw a beautiful frame, with the borders exhibiting every appearance of the finest carving, and with the inner portions exquisitely gilded. We were surprised that plain gutta percha could thus be made to resemble the choicest carved or gilded oak, rosewood, or mahogany. And not with the chisel, but merely by pressing the ungainly lumps into a mould, so that once a mould constructed, hundreds and thousands of beautiful frames are turned out with out the usual expense of artist-work. And they have a great advantage over wood in the fact that they never can be broken; dash them to the ground with all your strength, and it will not harm them. The manager took some delicate-looking flower-vases and threw them to the floor with violence; they bounded back into the air, but were not shivered. Here, too, we saw beautiful works of art — the head of a deer, with the ears falling, like real ears, the horns were slender and natural, but could not be broken. Impressions of faces and busts hung about the walls of the room, or were issuing from the hands of ingenious workmen. Some of the faces were those of distinguished Americans. We also saw some very clever stereotyping that had been done with gutta percha. There was a beautiful gutta percha life-boat, which though full of water, and without the usual air-buoys, will not sink, gutta percha is so much the lighter than water. There were sou'-wester hats for sailors — capital things, as they are impervious to water and the action of salt. With leather it is otherwise, for water saturates it, and salt is its deadliest enemy. There was lining for bonnets, soft and flexible as silk, yet made of gutta percha. 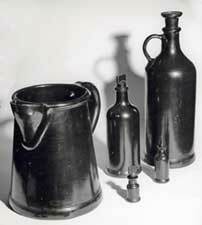 What surprised us more was an array of liquid gutta percha in bottles, to cure wounds and cuts and chilblains! 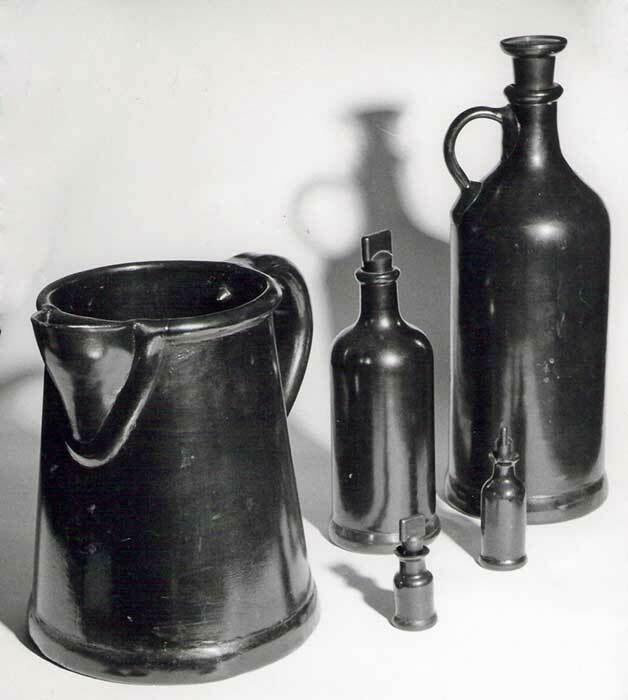 There were stethoscopes, and battery-cells, and insulating-stools, speaking-trumpets, tiller-ropes, &c. &c.
Yet the first sample of gutta percha which ever saw England was sent by Dr. Montgomerie, in 1843. The tree of which it is the sap, was discovered by an Englishman in the forests of Singapore. The tree bears a much-esteemed fruit, the timber is good, a kind of ardent spirits is made from it, a medicine, and the flowers are also used for food. The first year of the discovery only two hundred weight were imported into England, while last year over 30,000 cwt. were entered at the docks.